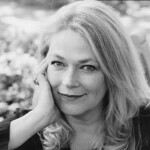 Karen MacDonald has appeared at the Huntington in Ryan Landry's "M", Good People (2013), Before I Leave You (2012), Bus Stop (2011), All My Sons (2010), and A Civil War Christmas (2010). On Broadway, she understudied and performed the role of Amanda in the revival of The Glass Menagerie. Regional credits include Doubt (Stoneham Theatre), Other Desert Cities and The Drowsy Chaperone (SpeakEasy Stage Company), Coriolanus and All’s Well That Ends Well, (Commonwealth Shakespeare Company), Long Day’s Journey into Night and boom (New Repertory Theatre), and others. A founding company member of the American Repertory Theater, she appeared in 70 productions, including The Seagull, Endgame, and Mother Courage. The recipient of several Elliot Norton and IRNE Awards for her performances, in 2010, she received the Robert Brustein Award for Sustained Achievement in the Theatre and the Norton Prize for Sustained Excellence. She graduated from the College of Fine Arts at Boston University.